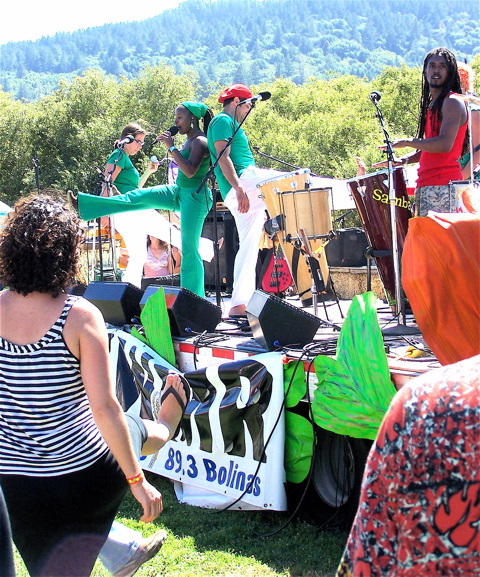 KWMR and Love Field in Point Reyes presented a “Far West Fest” Saturday, Aug. 18, as a fundraiser for the community radio station (90.5 FM in Point Reyes Station and 89.3 in Bolinas). Throughout the fair, which ran from 11:30 a..m. to 7 p.m. at the privately owned baseball field, acoustic music and amplified music alternated on two stages. Here the crowd dances to the band Sambadá. 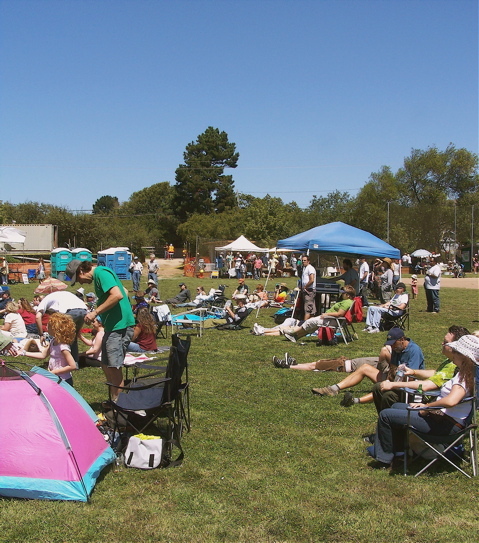 Approximately 750 paying adults plus dozens of children and volunteers enjoyed sunny weather, with many families picnicking in Love Field’s outfield. 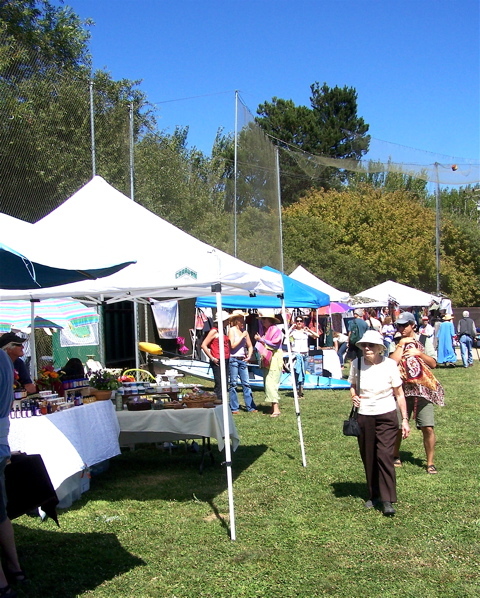 Vendors’ booths offered jams and jellies, artwork, a variety of prepared foods, newspaper subscriptions, face painting, t-shirts, children’s books, and information on numerous organizations. 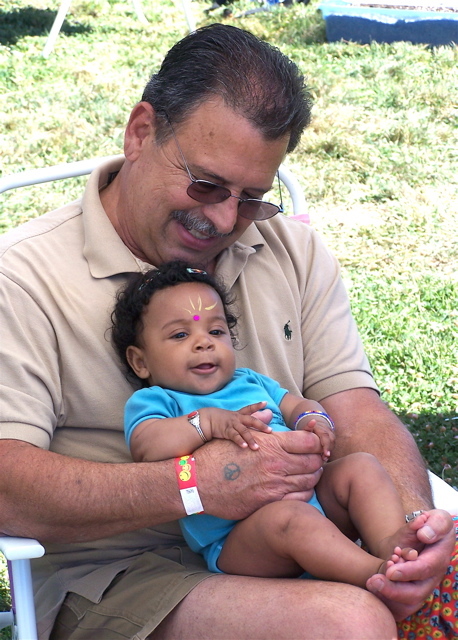 Carlos Porrata of Inverness and his granddaughter play in the shade of the face-painting booth. The retired state park ranger’s colorful braclet shows he has paid admission while the stamp on his hand shows he’s old enough to buy beer. 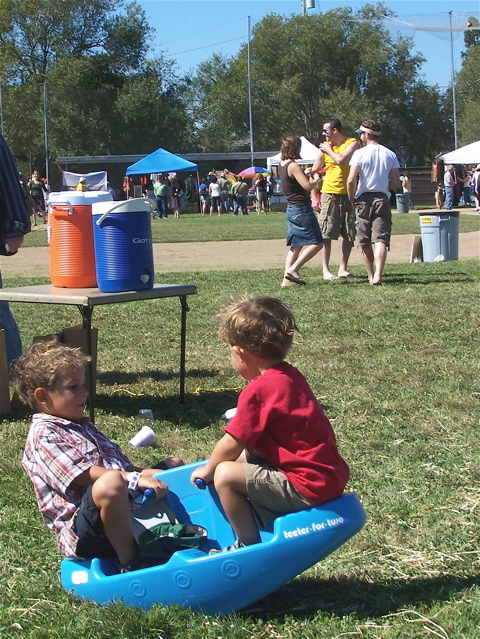 The Far West Fest included a “Kids’ Zone” filled with outdoor toys, such as this. 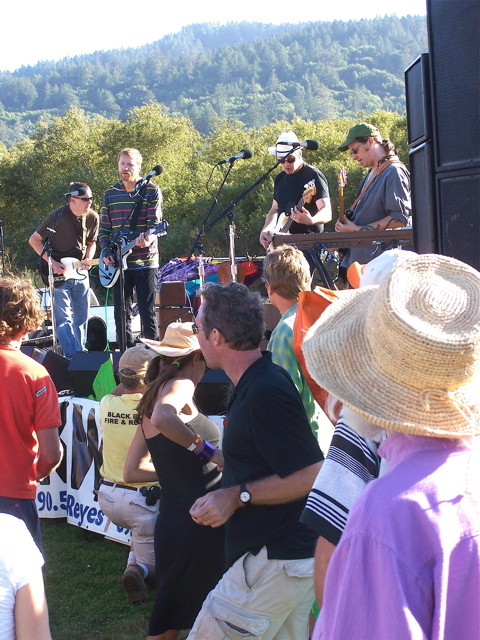 The audience dances to the band Camper Van Beethoven during the fundraiser for KWMR. 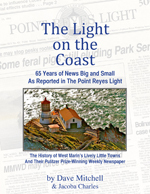 The station, incidentally, can be heard streaming at KWMR.org online. 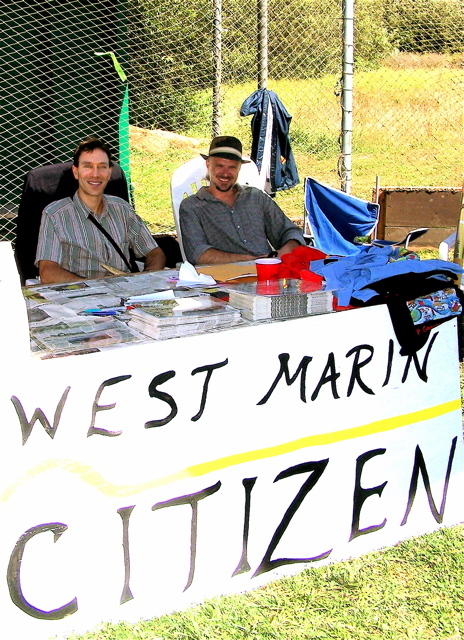 West Marin Citizen editor Jim Kravets (left) and reporter Jeremy Sharp sold subscriptions to the new weekly newspaper. Other staff also took turns manning the booth. A laid-back celebration. 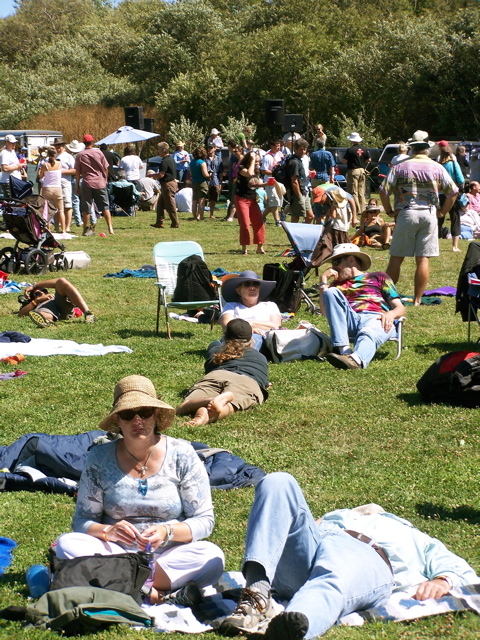 Despite bright sun in Point Reyes Station, a light breeze off Tomales Bay kept festival goers comfortable. Here an acoustic band tunes up in the background. Sparsely Sage and Timely is powered by	WordPress 4.9.10 and delivered to you in 0.371 seconds using 52 queries.